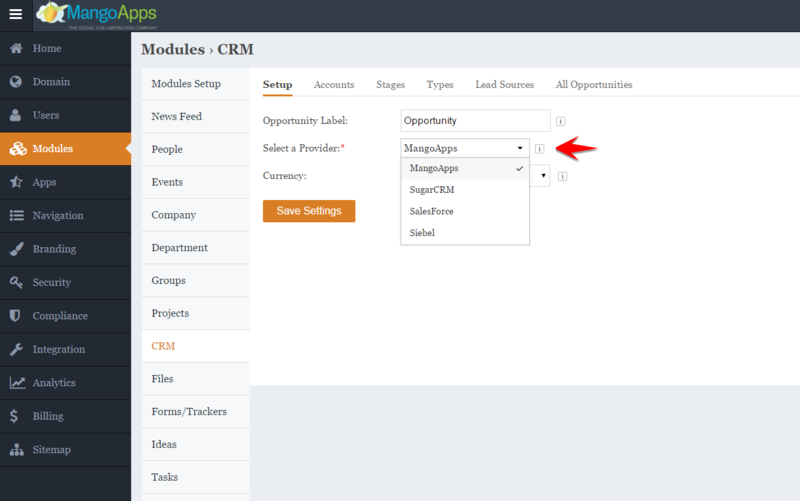 /CRM & Opportunities /Everything I Need to Know About Crm in Mangoapps? How do I transfer owner rights of an existing Opportunity? Can I maintain Notes about the opportunity that everyone can see? Can I sync my opportunity Files locally? Who can edit the opportunity details? Who all have access to the opportunities and its dashboard? 1. 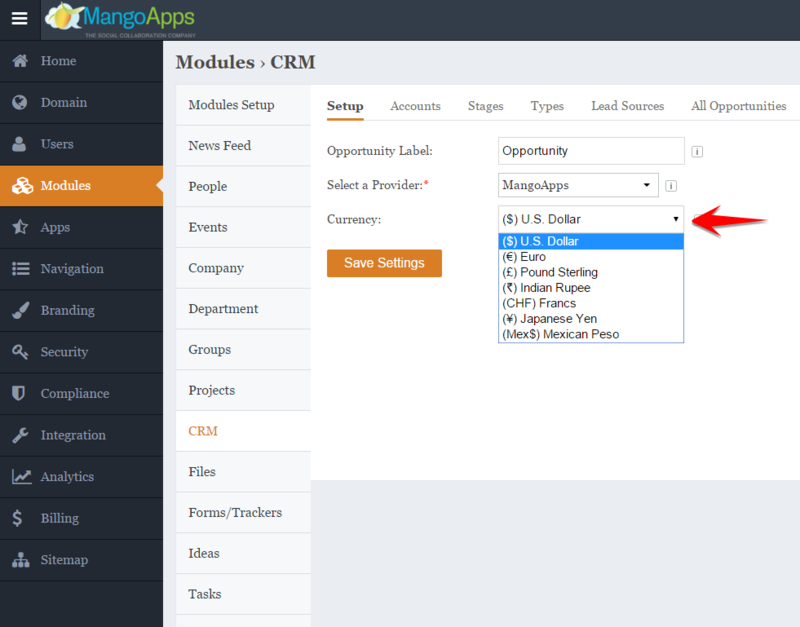 How does the standalone CRM in MangoApps work? CRM offers the just-right, more thoughtful way to keep track of the opportunities, tasks, notes and conversations which are the lifeline of your business. 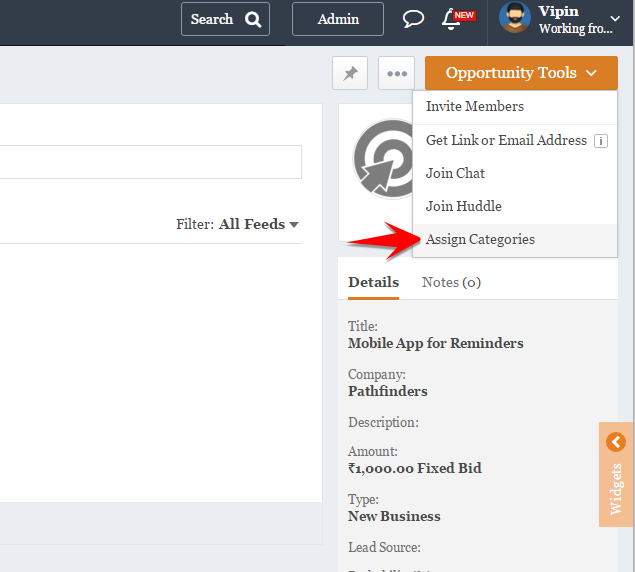 Add custom categories to organize your opportunities by customer size, region and business type. 2. Can I Integrate my existing CRM with MangoApps? 3. 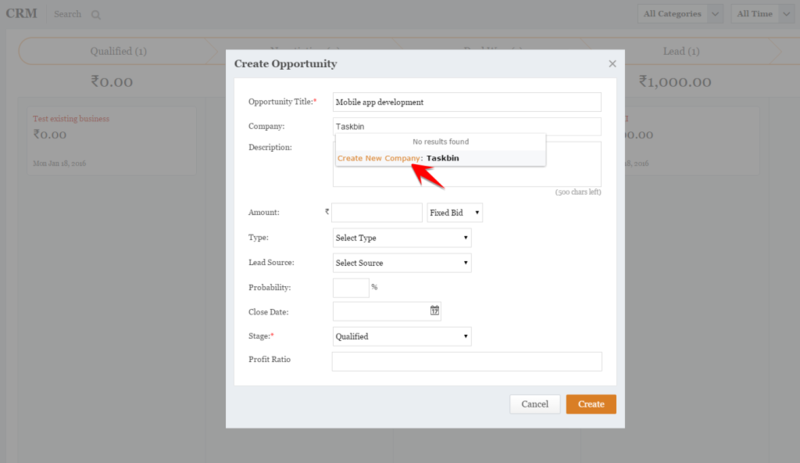 Can I customize the stages on opportunities in MangoApps? Yes, you can customize the stages for the opportunities to match your requirement from the admin portal by clicking CRM then Stages and “+ Add a new Opportunity Stage“. The stages configured are the same that reflects on the CRM dashboard. By default, MangoApps is shipped with the following stages. 4. How do I create accounts? An account is an entity (individual or an enterprise) with whom you have an existing business relationship. The relationship could be a channel partner, supplier, customer, re-seller etc. Opportunities represent potential sales to accounts/company who are already tracked in your in MangoApps. Opportunities in MangoApps are linked or associated with accounts/company. 5. How do I use categories in Opportunities? An Opportunity is a deal that you have the possibility to close! Categories helps get a big picture or an eagle eye view of all your opportunities by grouping or classifications, for e.g. if you wish to track all the sales activities for a particular region or product you can associate your opportunities to the particular regional or product category. The key benefit of this is the amount of time you’ll save switching between different views or asking for status updates, with greater visibility, day-to-day work becomes more transparent, efficient and manageable. No matter what peculiarities a team or project brings, users now have the tools to adapt fluidly to dynamic settings and situations. 6. Can I add custom fields in the opportunities? You can create new fields to capture opportunity details when the existing entities don’t have fields that meet your requirements. These fields will be available to all the network users on your domain. Please note that the default fields offered out-of-box can not be deleted, removed, renamed or changed . A text box for a single line (short) of descriptive text. A text box for multiple lines of descriptive text. Define choices for the user from which more than one can be chosen. Define choices for the user from which only one can be chosen. A named date field where the user chooses a date from the calendar. 7. How do I setup a local currency for opportunities? All amounts will be shown in this currency configured here. If the currency is changed in future, then the existing amounts will NOT be automatically converted to the new currency. 8. Can I add or edit the lead source? By default, some of the industry standard lead sources values are available out-of-box. You can modify the lead source values as per your organization’s business process and replace the existing value with new values so that the records are associated correctly. To add or modify lead source values, navigate to the admin portal then click on “Modules” -> “CRM” -> “Lead Sources” and click “+ Add a new Opportunity Lead Source” to add a new source or hover over the existing ones to edit/delete. These fields will be available to all the network users on your domain when creating an opportunity. 9. How do I transfer owner rights of an existing Opportunity? 10. Can I maintain Notes about the opportunity that everyone can see? Yes, each member of the opportunity can add notes to the opportunity that will always be visible on the feeds details page on the right. Please note notifications are generated for “notes”, if you wish to keep your team posted on on any activity then it is recommended to post an update. Notes are ideal to maintain contact details of the lead associated with the opportunity. 11. Can I sync my opportunity Files locally? Absolutely, you can sync files associated with your opportunities just as you can sync your Project, Group or Department files. Click here to learn about MangoApps file sync. 12. Who can edit the opportunity details? As an opportunity admin you can add members to the opportunity however ability to edit opportunity details are only available with the creators, network admins and co-ordinators. 13. Who all have access to the opportunities and its dashboard? Only network users associated with the respective opportunity can view or search for the opportunities. Network admins can view all the opportunities from the admin portal irrespective of the membership.